Ikat weavings tell a story and even today contain borders reminiscent of ancient trade cloths used in the spice trade of the 1600s. 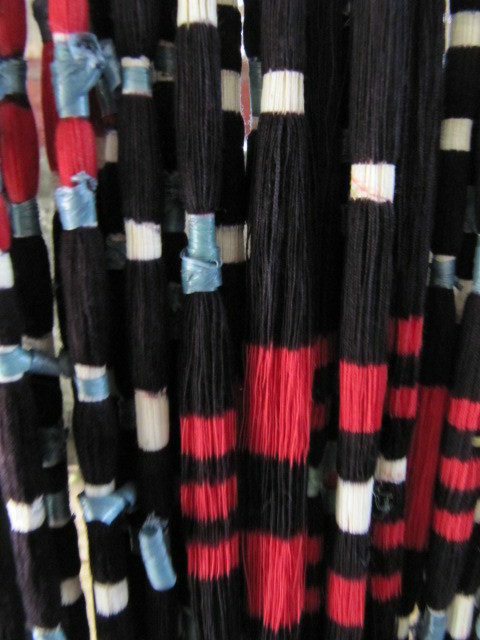 Many weavings are used in religious ceremonies. 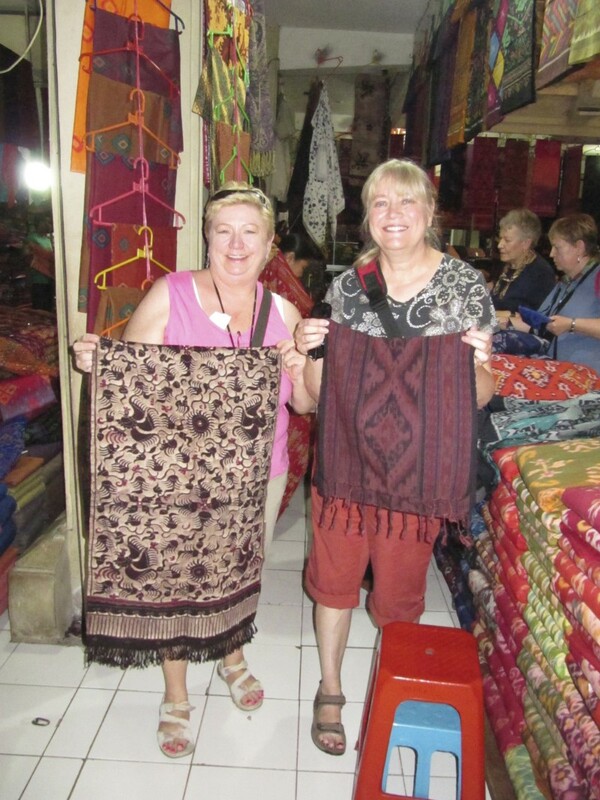 Ikat is a type of weaving where the pattern is pre-designed and the threads are pre-dyed. 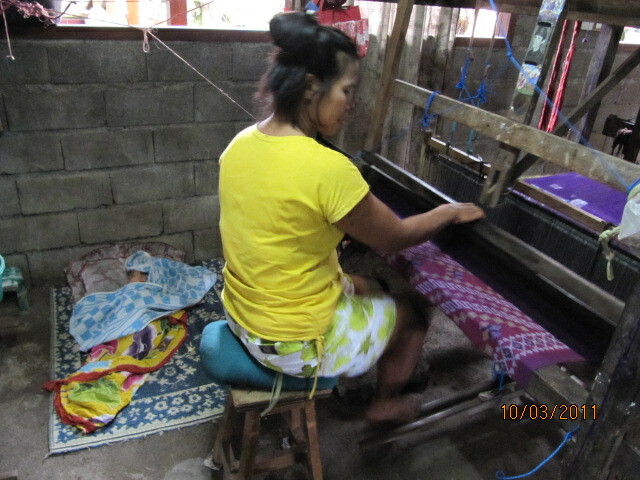 Here a man ties plastic raffia around threads that will be temporarily shielded from dyes. 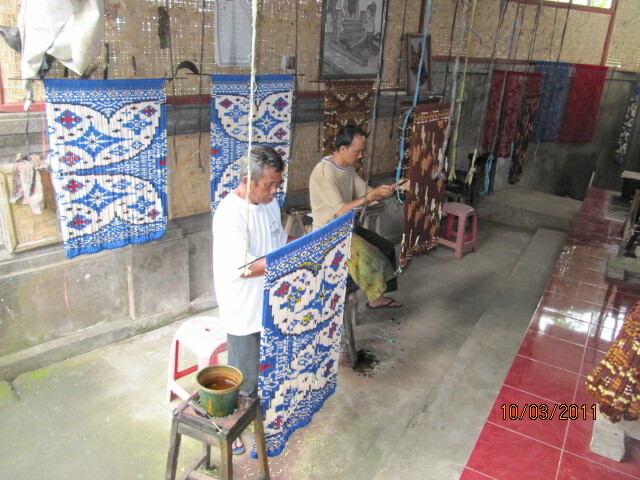 Men dye threads in succession moving from lighter colors to darker, removing the plastic raffia when the shielded areas need to be dyed. 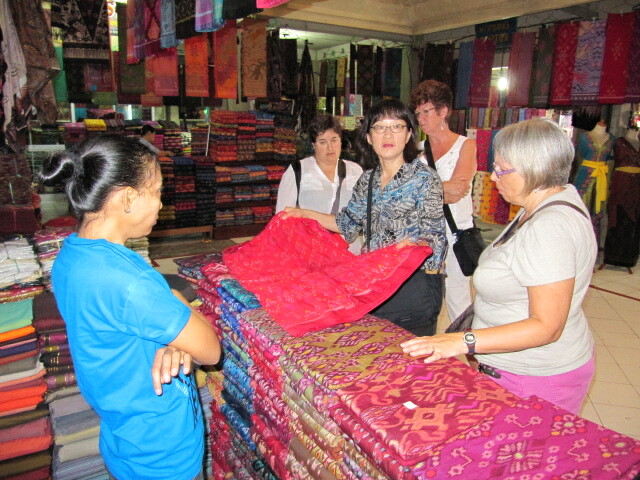 Chemical dyes are used in most ikat weavings to get vibrant colors. 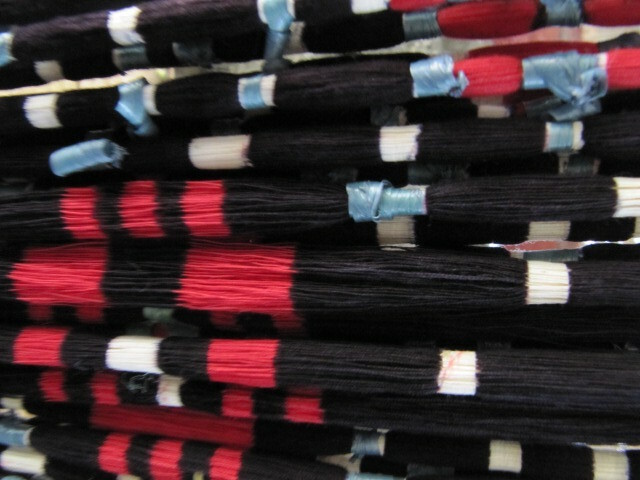 Here dyes are applied with two sticks rubbed onto thread clusters. Threads are wrapped in plastic raffia (blue here) to seal in the color. 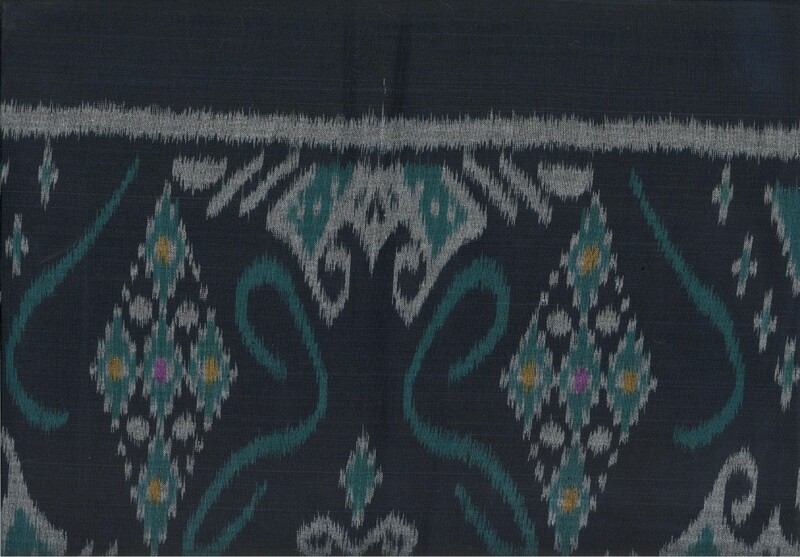 The raffia is later removed to reveal the color beneath. 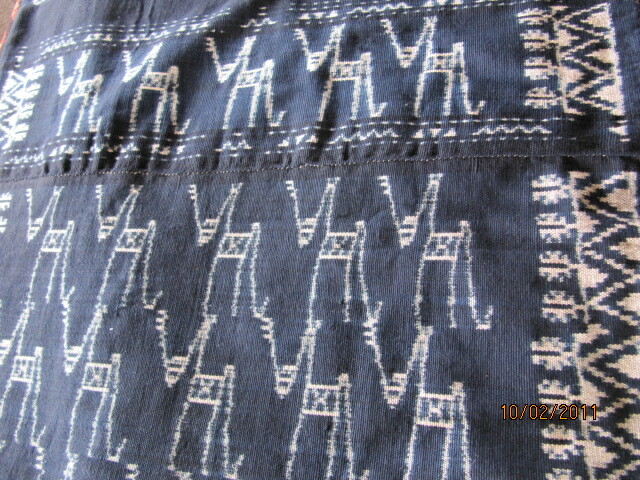 The ikat threads are then wound on shuttles for the weavers. In this case the fabric will be a solid color. Often the warp is one color and the weft is another to add depth, beauty and interest. 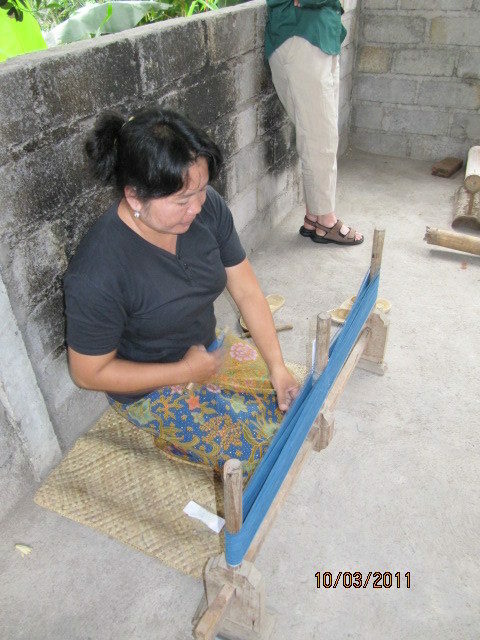 In this typical weaving cooperative, women can drop in, use the equipment and be paid by the piece. This young mother weaves as her baby girl sleeps beside her. Friendships are formed between the women as they learn this skill. 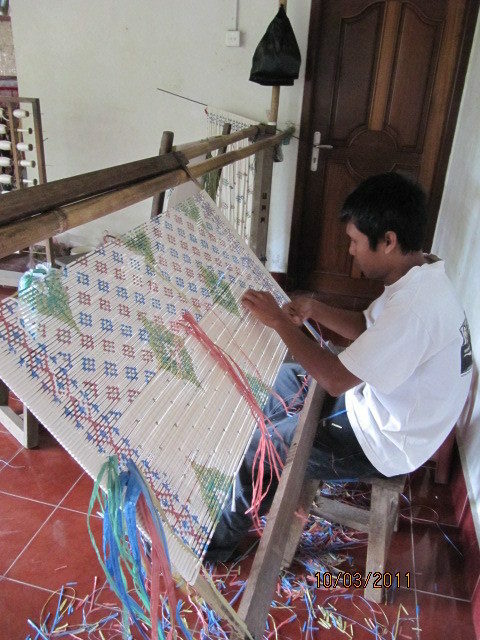 On average a weaver can produce two meters of ikat in an 8-hour day. This fabric sells retail for between $7 and $14 a meter.